Okay, you know there is an invention called Conversion Rate Optimization and you heard that using that could grow your business by 300%. You are right on one thing and you’re not on the other. You are right about it having the ability to grow your business 300%, but you are wrong about thinking that it is an invention kind of thing. Conversion rate optimization is simply a sum of all the rules, methods, techniques, and other kinds of work that you use to convert more of your visitors into customers. In other words, CRO is what you do to make more money and happy customers. In CRO practice, you constantly evolve to satisfy your customers needs and provide better service that converts more. 1) More Customers at the same cost: If you are spending $1,000 monthly to make $2,000 in revenue, in order to double that you can choose to spend another $1,000 or simply optimize your website for better conversion and save your money. Simple. If you want to be twice as profitable as your competitors, you don’t have to be twice as good as them. You just have to be slightly better. 3) Ultimate Revenue: When you double your conversion rate, you don’t just double your revenue. Happy customers also tend to bring more business for you because they found what they were looking for without hassle with you. A marketer can’t imagine a better type of customer. Okay, I guess you’ve already known those and you are reading this article to learn how exactly you can do this. You first need to learn the logic behind this. CRO is not simply changing the color of the “Buy Now” button. It is all about providing better value to the customer. Knowing that your focus should be removing the hassle between your potential customer and their goals, you need to play with elements of your websites and the ways to it (such as ads and campaigns). 1) Determine your goals: What are you trying to achieve? What is your goal? The reason most marketers fail is not having a clear goal. After understanding what exactly you are trying to do is a giant step for CRO. I’ll choose my goal to sell a watch from my website as an example. 2) Create a Conversion Funnel: Conversion funnel is the whole path your potential customers follow in order to take your desired action. You need to be able to see where your visitors start the journey and which way they follow as well as were/how/when they reach the end. You better get out pen and paper so you can start drawing your potential customers’ journey. If you haven’t written your funnel yet, I suggest you do it immediately. 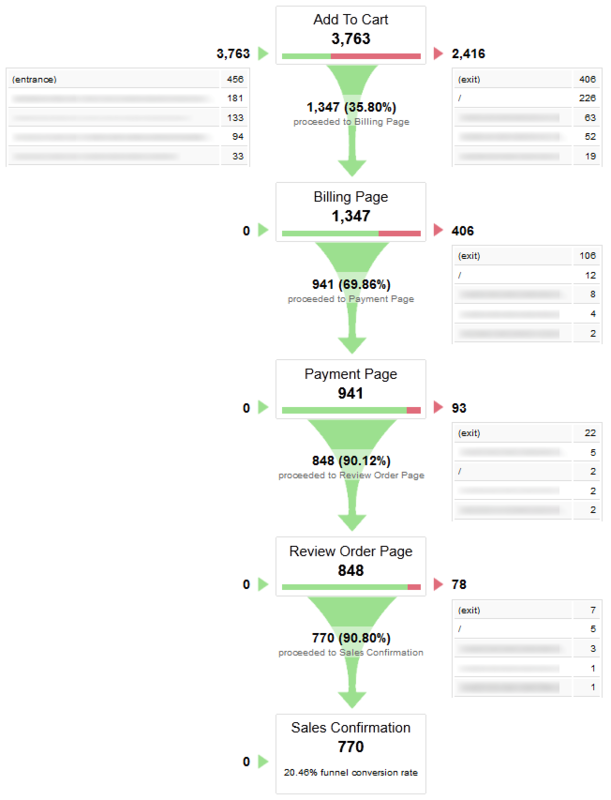 3) Quantify Your Conversion Funnel: It is the most crucial step. You need to be quantifying your funnel that is you need to be writing down the numbers of your visitors in each stage. Therefore, you will be able to know where your website is leaking visitors and money. If, let’s say, I am losing 50% of visitors at Payment Page, I can go to that page and try to understand and solve the problem (I’ll tell you how to do that too). In order to know about these numbers, you need to setup analytics software. Most marketers use Google Analytics because it is free and it satisfies most of your needs, such as creating a funnel and segmenting your visitors. Most of the time/reasons why your website is leaking is the same. You are making the same mistake that almost everyone who is not familiar to CRO world is making. Even, sometimes we see some experts doing the same mistakes on their websites. I’ve written about it before, I suggest you check it out some time (5 Experts Need to Check Their Websites). Missing Value Proposition: Not being able to tell/show what your site is about. Competing Design and CTA: If your website and your call to action buttons are all green, bye bye. Distractions: Are you trying to sell your product or make people share/follow/check other articles/contact you. Decide what you want. Cheap or irrelevant traffic: If you are only operating in New York, why do your ads show up for people in LA? No white space: Does your website have lots of flashy stuff and full of images and a crowded view. Oops. Slow website: Biggest conversion killer. After you’ve learned about your mistakes, you can learn which elements on your website you can test in addition to those. Optimizely’s 71 Things to Test will give you good ideas. If you noticed, I used the word “test”. I’ll tell you what this is about in a moment. The better one is “How do I know how much my conversion rate has increased?” You need a way to test and score your changes on your website. This is where split testing (aka A/B Test) comes in. A/B Testing is a method of creating two versions of a website and testing which of them performs better. In order to do that, you need to split your traffic into two. Half of the visitors should go to the control page (where you want to change) and the other half should go to your experiment page (where you made your changes for better conversions). 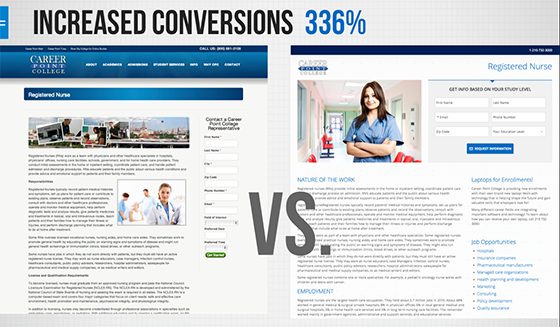 The trick of A/B testing is to show two versions to your visitors at the same time. This is different compared to before-after test where you compare data before and after the change. The reason we prefer A/B testing over before-after test is that you cannot know if the changes you made is the reason of the change in conversions or fluctuations of business. It is normal for businesses to see changes in sales and revenue daily. Therefore, you cannot actually measure the success with before-after tests. It is easy. You just create an experiment page and split your traffic into two to see what’s going to happen. I’ll tell how to do it. It is cheap. There are awesome tools that you can use to perform A/B tests. They are either free or very affordable to start with. Crazy ROI. It is not uncommon in the industry to see two or three fold increase after performing one test. I’ll give examples in a moment. By adding three simple bullet points, Micheal Aagaard increased conversions by 83.75%. Dustin Spark has increased his client’s conversion rate by 336% with only one A/B test. Glad you’ve asked. There are two options. Option 1: You can manually do some coding to split up your traffic for your control and experiment pages and measure the results. Option 2: You use tools to avoid the hassle. I’ll go with option two. 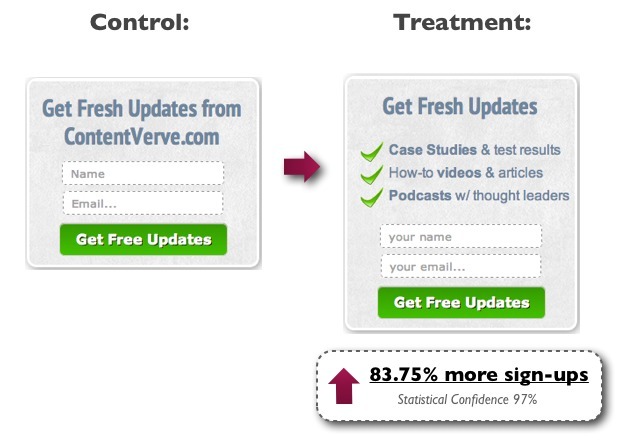 Google Content Experiments is a free A/B testing tool created by Google. You can go to your Analytics account and from “Behavior” menu, choose Experiments and have a look at how it works. Google asks you about control and experiment pages, and your goals to start experiments. To learn how to use Google Experiments, for WordPress, you can read Syed Balkhi’s post on WPBeginner.com or Daniel Waisberg’s Content Experiments Tutorial. Visual Website Optimizer is a split-testing tool that you can use in all kinds of sites. You can use their interface to change your website and start experimenting. The good part is you don’t have to code anything. Using their panel, you can change what element you want using just your mouse. 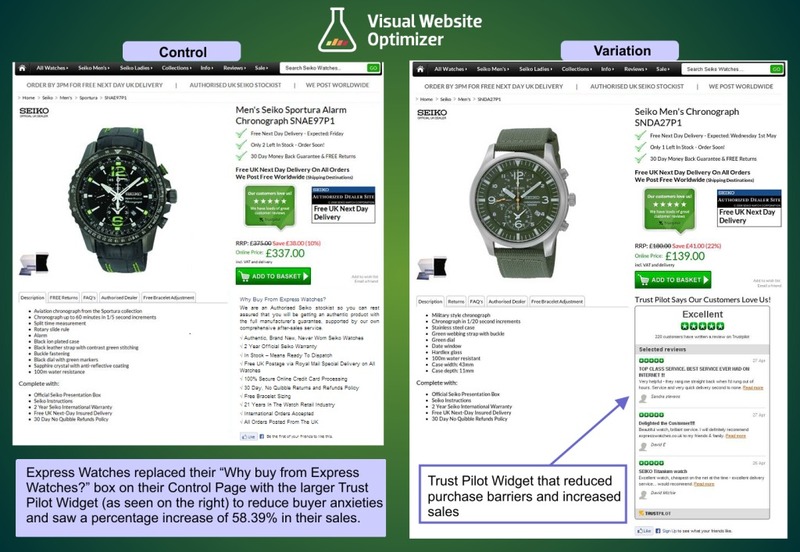 Optimizely is another easy A/B testing solution like Visual Website Optimizer. On their homepage, you can try their panel without signing up. You just write your website to the bar and start checking how it works with Optimizely. No. So far, you’ve learned about basics of conversion rate optimization, funnels, a/b testing, and the tools you can use. The last part was mostly concerned with quantitative analysis and research. There is another type of analysis and research called qualitative research. As the name suggests, qualitative research is not much concerned with numbers. Qualitative research looks for how visitors act on the site and what they have in their minds. User Experience is overall experience of your customers. It is all about easing the process, making visitors engage and interact. For better understanding AllAboutUX.com listed different definitions of UX. In user experience process, all that matters is to understand and design for the need of users. User Centered Design is emerged to satisfy this approach. Usability.gov provides a good guide understanding basics of UX. I also recommend reading Tristan Kromer’s post explaining User Experience for better understanding of concept. Surveys are the best way for asking personal opinions of your customers. by just asking. 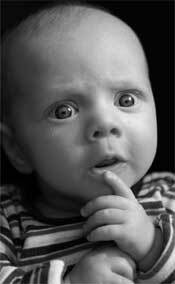 So, how can you ask questions to your customers? There are many great survey tools easing the job. 1) Survey Monkey is an easy to use survey solution which you can start using for free. They also support many languages and their blog gives insights on how to use surveys. 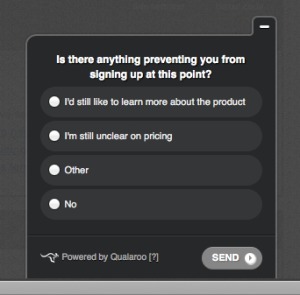 2) Qualaroo is another tool you can use to understand your customer’s behavior. They also have an awesome blog. I strongly suggest watching their webinar, where Karl Blanks from Conversion Rate Experts and Qualaroo CEO Sean Ellis discuss on “6 Golden Question You Need to Ask Your Visitors“. In order to perform usability testing you need real people to sit and try your services. You can get any people outside of your team to start with it. Simply ask your friend to try your app, or shop from your website and tell you what problems he/she encounters. Heatmaps are awesome tools showing where your visitors clicked or looked on your webpage or app. By using heat map analysis, you can determine the hotspot of your websites to place your ads or CTAs accordingly. Most of the heatmap tools also show you how much users scrolled down on your pages. This also shows you where your visitors start to get bored and you can introduce something different or fun there to keep your visitors with you. Crazy Egg is used by many popular brands like Microsoft, Amazon, and Ebay. They offer 30-day free trial to test their tool. Click Tale is another heatmap tool similar to Crazy Egg. They offer a free plan for 5,000 recordings. You can find alternatives for these tools by reading Paul Olyslager’s article titled “Heatmap, Hot or Not? Free Alternatives for Crazy Egg“. 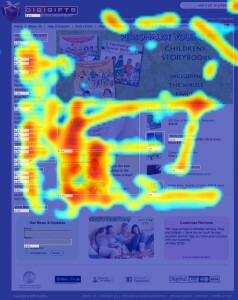 Other than dedicated heatmap tools, some A/B testing tools offer heatmaps too such as Visual Website Optimizer. Read their article written by Siddharth Deswal “3 Ways to Increase Conversions Using Heatmaps“. 4 concepts I mention should help you on understanding overall qualitative research on Conversion Rate Optimization. Before I finish, I’d like to tell you about awesome CRO people & blogs I follow. Karl Blanks is a former rocket scientist (literally) who has a PhD from University of Cambridge. He helps Apple, Facebook, and Google to increase their conversions. He doesn’t have a Twitter to follow but you can read his stuff at CRE Blog. Oli Gardner is Co-founder of Unbounce – a service providing landing page solutions without a technical knowledge. I’ve started learning CRO from his course Landing Pages 101. If you haven’t seen this yet, I suggest you go and check it after you finish reading this. Peep Laja is the reason I am writing this article. He told me to write “Epic Sh*t” to be successful and influential blogger. He owns ConversionXL – Conversion Rate Optimization blog. I strongly recommend that you read all of this stuff especially his blogging strategy. Widerfunnel – Widerfunnel is a CRO service. Their service is very popular and you can get awesome insights from their blog. UX Matters is founded in 2005 and they are an inspiration for UX community. Social Triggers is not much related to CRO but you can get quick ideas from Derek Halpern’s YouTube videos on business and life. Online Behavior provides guides and articles on marketing optimization. and also check some Conversion Rate Optimization Infographics on Unbounce and Pinterest. Followed me on Twitter and Google+. 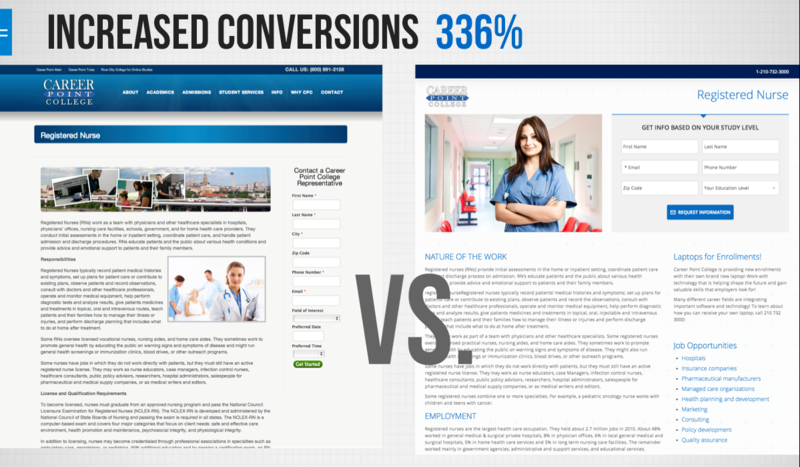 Also, do not hesitate to comment on what you think about this article and Conversion Rate Optimization. PS: Writing this article took me 6 hours and 20 minutes. It is 2880 words (including PS part) long and includes almost everything you need to know about Conversion Rate Optimization. Make sure you bookmarked this page for future reference and joined my list! Very useful post for any beginners.